British music magazine, first issued in October 1990. It was published by IPC Media as a response to Emap's Q magazine. It appeared with a format slightly larger than A4 and came with a 32-page magazine insert, 'Record Hunter', for collectors. The cover price was £1.50 under editor Roy Carr, but the launch issue was 95p to encourage sampling. 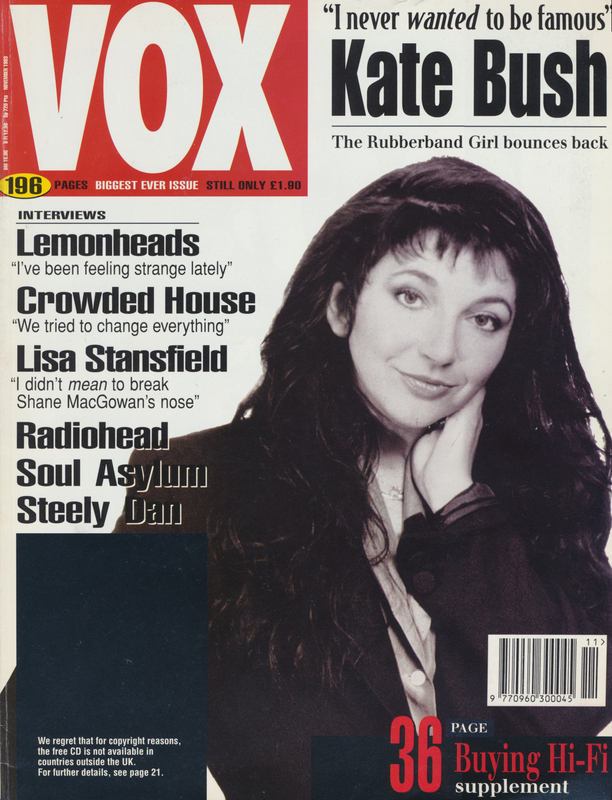 Kate Bush appeared on the cover of the November 1993 issue. Between 1990 and 1997 she appeared in the magazine four times. Vox (magazine). Wikipedia, retrieved 25 October 2018. Vox [closed]. Magforum website, retrieved 25 October 2018.